Daryl Johnson (Worcester Park, United Kingdom) on 22 February 2010 in Architecture and Portfolio. 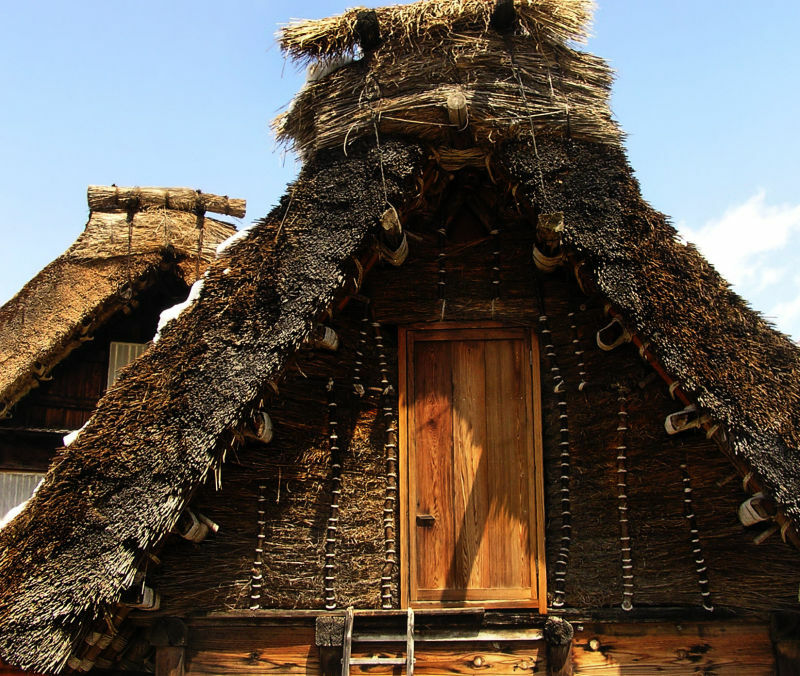 A closer look at the upper part of a gasshō-zukuri style house in Shirakawa, Gifu prefecture. The upper floors of these houses are also used for living and working in. Wonderful details. Light and textures are superb! Good close up of the houses. Du beau travail, le détail y est parfait. A excellently composed detail shot. Love the warm colors of the wood. I think that I like to look at these houses as a whole or as an ensemble, not as closeups of parts of them......though I know how much work goes into the making of that roof! We had an excellent documentary on TV on this very subject. @Japanalia: Maybe I will try to look for it on Youtube! @Twelvebit: You mean to buy one? Absolutely no idea! The village is also a UNESCO World Heritage site, so I guess that means you can't just buy up places here... (?). Pretty tight-knit community too, with houses in the families for generations. I guess they're not looking to sell anyway?